Far too many people across the country are left dead, injured, or traumatized by community violence. 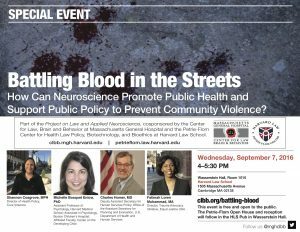 Communities can be safer when neuroscience, public health strategies, and collective advocacy are aligned in practice and policy. 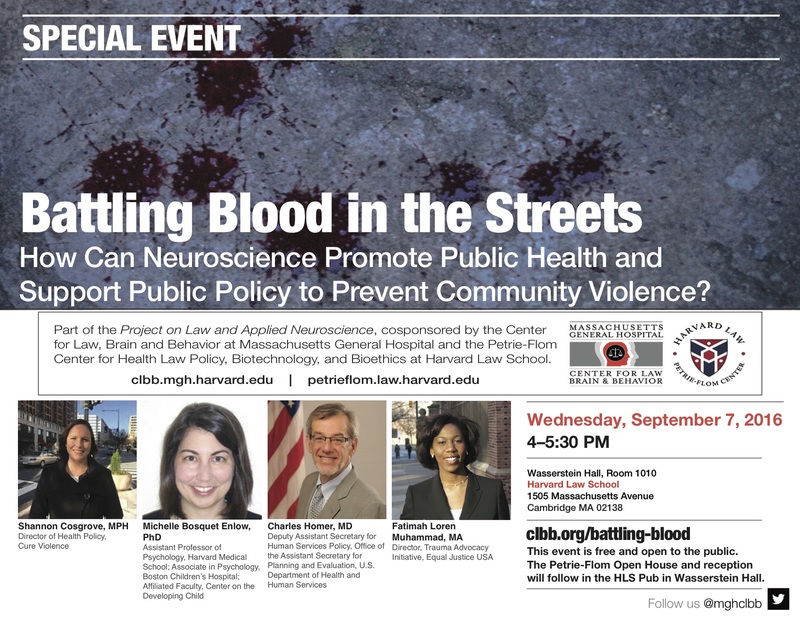 What are the best next steps to fostering a broad science-informed advocacy movement to effectively address community violence? 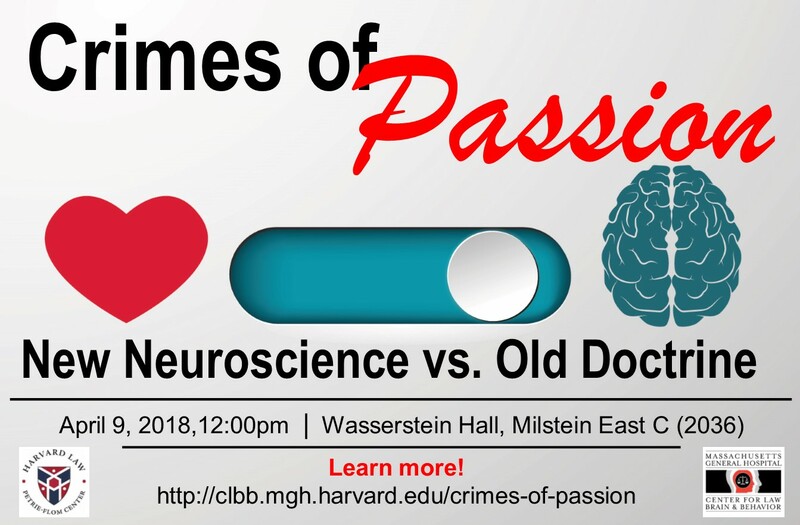 The event took place at 4:00 pm on Wednesday, September 7th, in Wasserstein Hall, Room 1010 at Harvard Law School (1585 Massachusetts Avenue, Cambridge, MA). The event was free and open to the public, and was followed by the Petrie-Flom Center’s 2016 Open House. 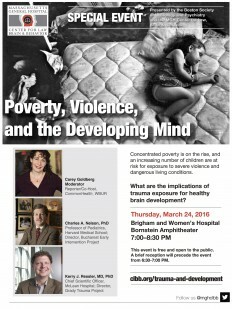 During this panel event, Dr. Kerry Ressler (of McLean Hospital and Harvard Medical School) will discuss the risks poor, urban environments pose for post-traumatic stress disorder, while Dr. Charles A. Nelson (of Boston Children’s Hospital and Harvard Medical School) will discuss the effects of “toxic stress” on early childhood development. Carey Goldberg of WBUR will facilitate the conversation and host the Q&A session with the audience. This event will be held on Thursday, March 24, 2016, at the Brigham and Women’s Hospital, Bornstein Amphitheater, from 7:00-8:30 pm.